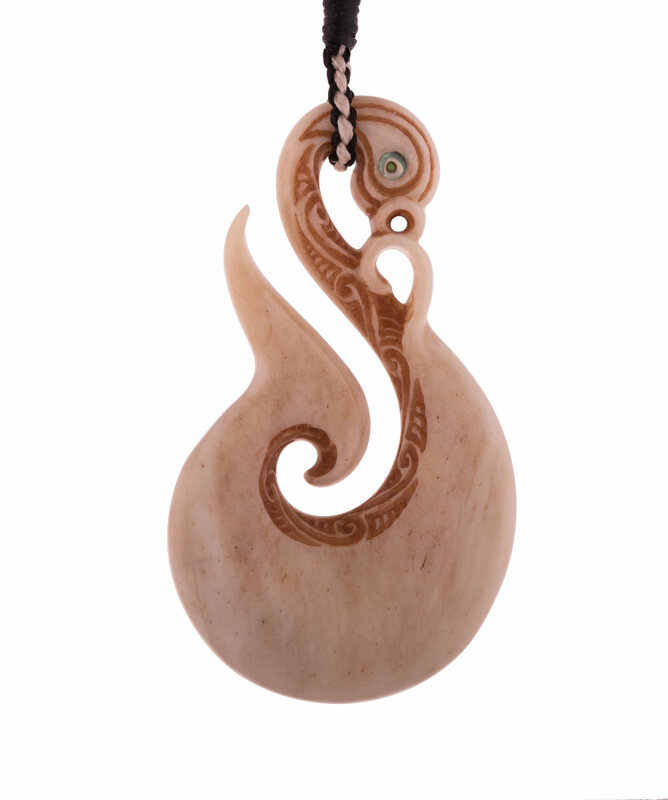 This Manaia Hook is named Manaia Hook – Ahoroa. This means bright moonlight. 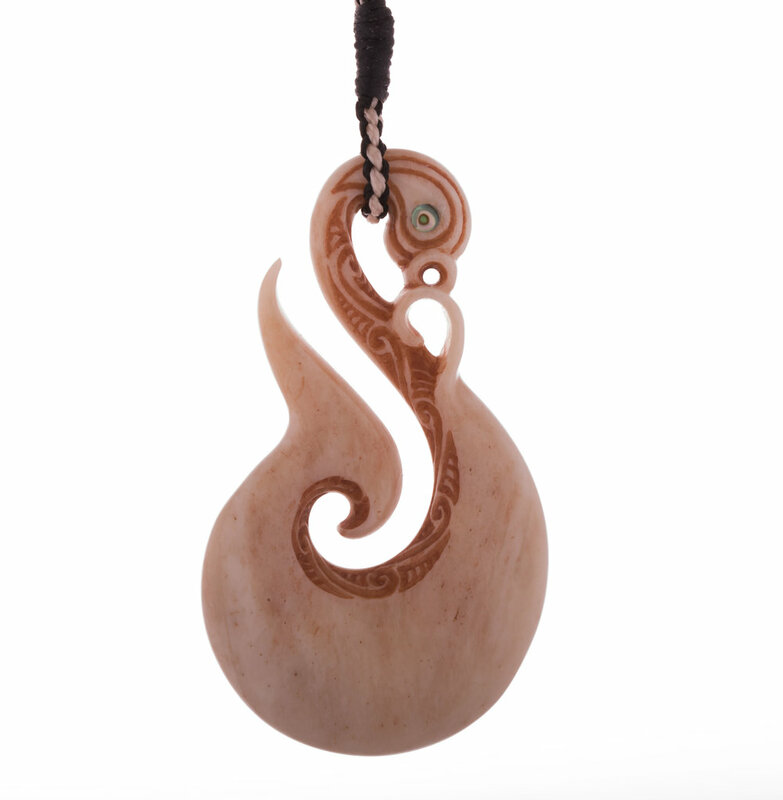 Additional to the basic meaning associated with this style of Matu, this Taonga contains a Pāua inlay that represents the pure nature of our mind. 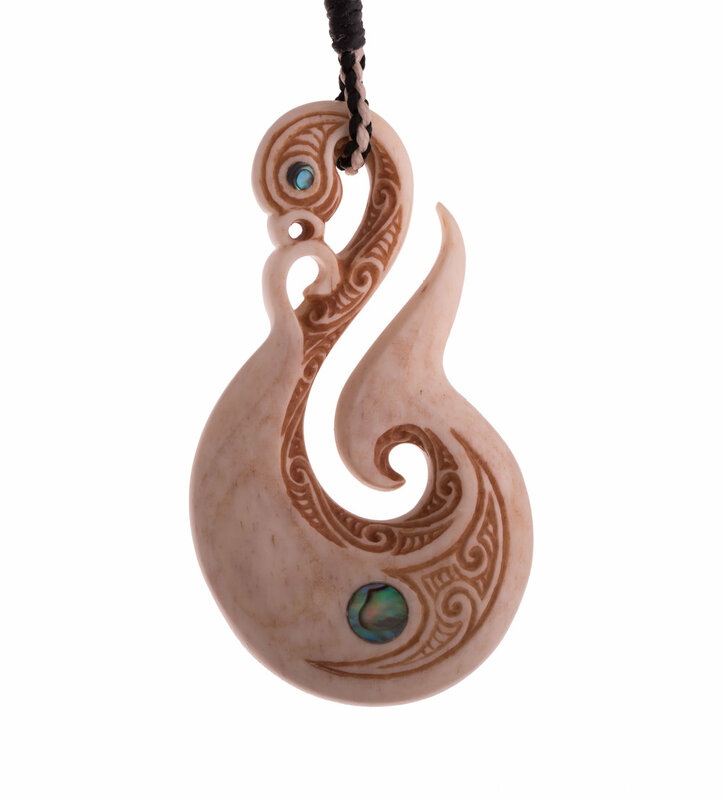 This is symbolic of attaining great compassion. 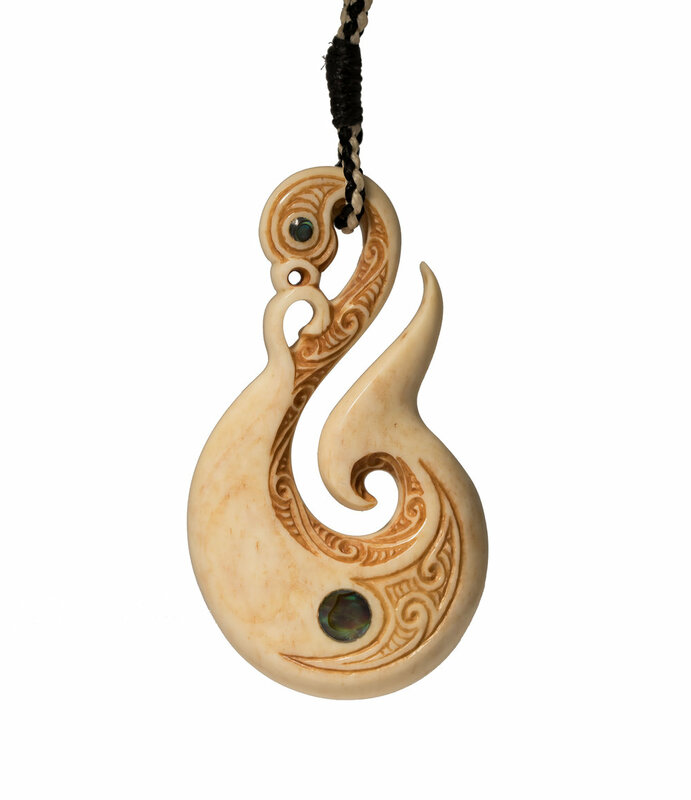 The symbolic depiction of the moon is embracing this inlay. The moon represents the spontaneous arising of great compassion which forms a foundation upon which we can attain liberation and great enlightenment. The moon guides us through the darkness of the night. Just as the precious development of compassion will lead us towards deep inner peace.